Hillary Clinton dominated Tuesday's Washington, D.C., Democratic primary with nearly 80 percent of the vote, which isn't wholly surprising since she has long since claimed her spot as the party's presumptive nominee. Clinton was always a shoo-in for the D.C. contest since she has consistently polled well with both African Americans and Washington insiders, two of the most abundant demographics in the district. But the nearly predetermined results of the election didn't stop her rival from putting up a big fight before that final primary, complete with rallies, speeches, and even a meeting with President Obama at the White House. 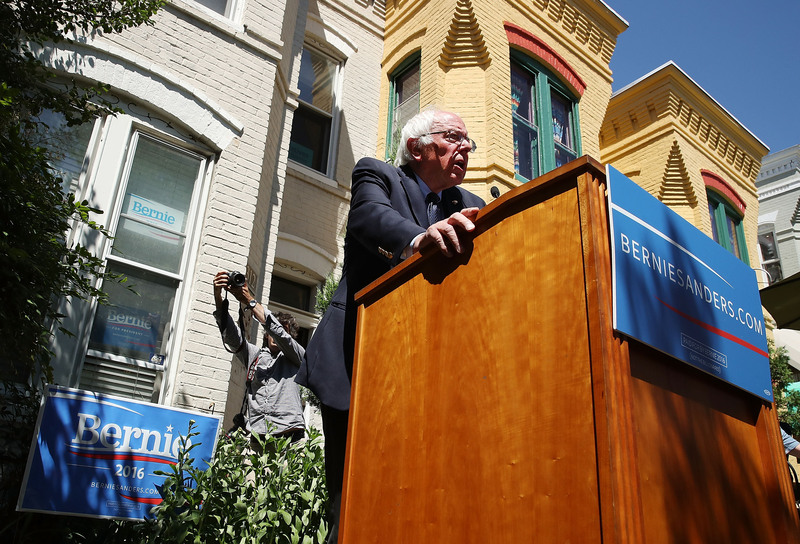 Yes, Bernie Sanders is still running for president, just like he said he would. For as long as his loss of the nomination seemed imminent, Sanders has vowed to stay in the race all the way through to the convention. "Defying history is what this campaign has been about," Sanders told NBC News' Lester Holt earlier this month, defending his choice to ignore the delegate math and remain dedicated to the campaign to sustain the progressive moment it has engendered. Although it seemed pointless in one sense to continue his campaign, it has undeniably sparked a serious and productive conversation about the future of the Democratic party and the two-party system as a whole. One of the primary arguments that Clinton supporters and scared Democrats have posited in an effort to get Sanders out of the race was a fear that Sanders would split the Democratic party and provide a path for Trump to reach the White House. However, now that Trump's campaign seems less and less formidable due to his continued media faux pas and his still declining favorability ratings, Sanders may as well stay in the race and continue trying to push his progressive agenda through the convention in July. From Sanders' perspective, it couldn't hurt, and would likely help, to push the party even further to the left and keep his campaign promises alive for as long as possible. There's a noble quality to Sanders' insistence on staying in the race, too. Of course he knows he can't win anymore — he's laid off a huge portion of his staff, so he's clearly not delusional. Idealistic, yes, but not totally unrealistic either. But he said he was going to stay in until the convention no matter what, and he's actually following through on that promise. It's an admirable quality in any person, but especially in a politician, a person from whom that integrity is often sadly least expected. Sanders may be out running for the nomination, but there's a real benefit to him staying in the race that shouldn't go unappreciated.